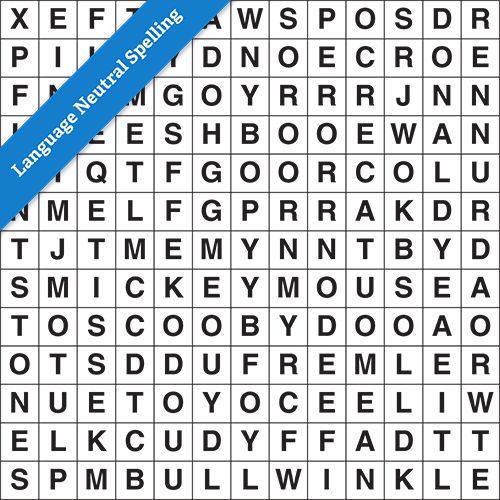 Wordsearch puzzle, in various sizes, with a themed word list. 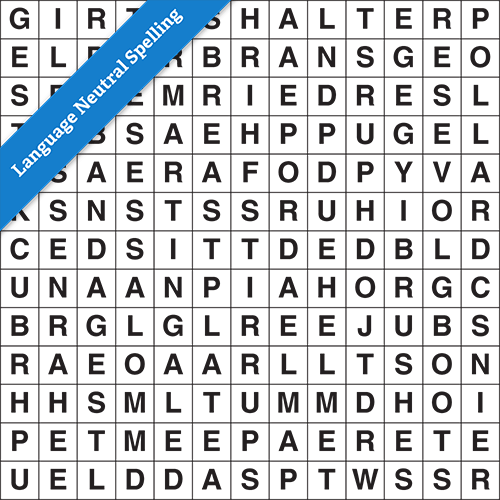 Find the language-neutral words and mark them off on the grid. 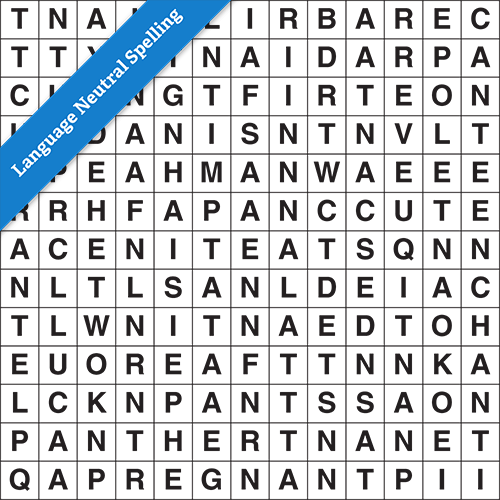 Themed word list and, yes, language-neutral again! 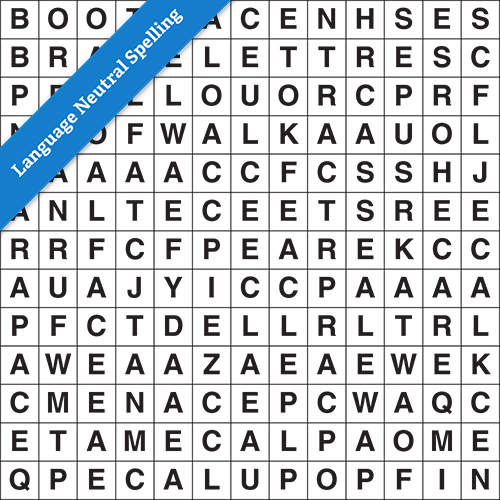 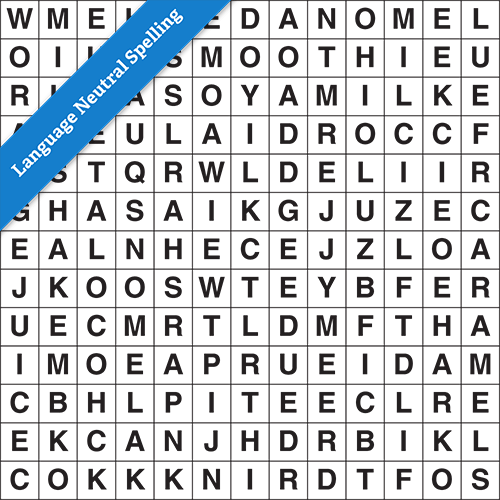 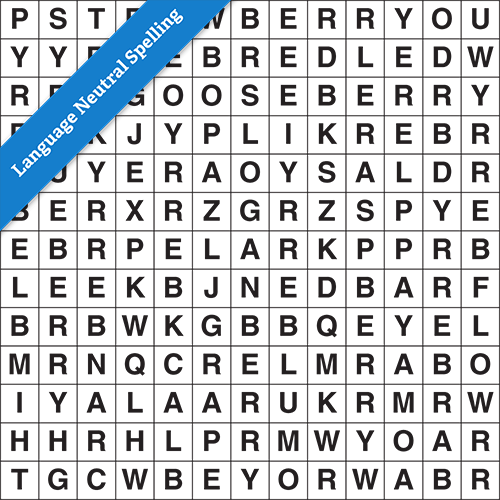 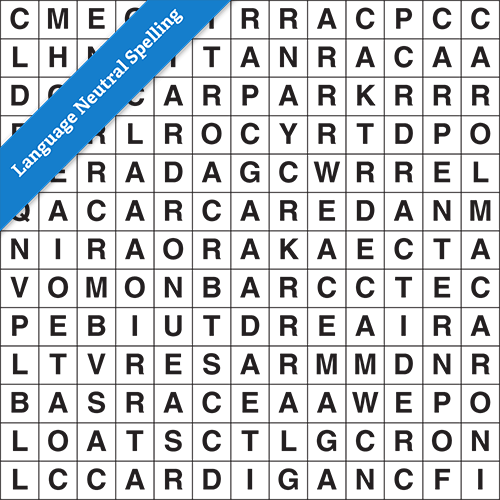 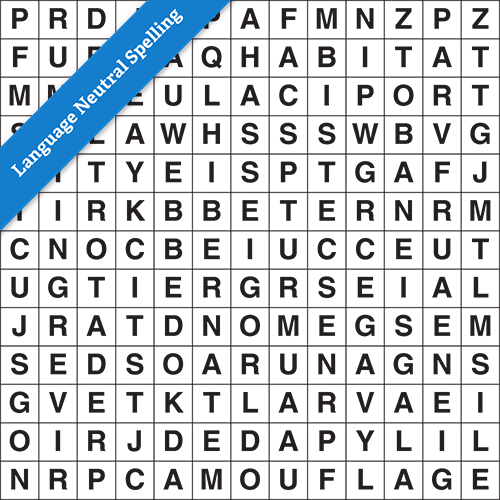 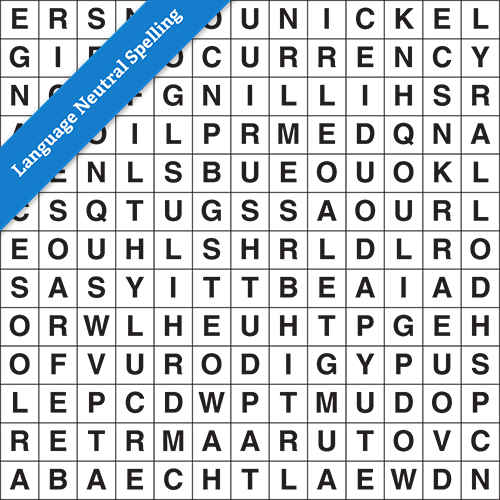 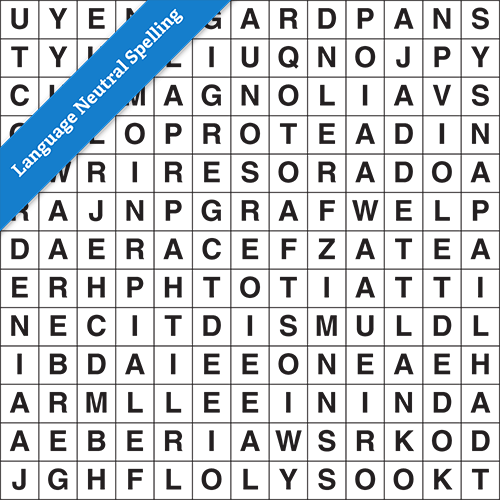 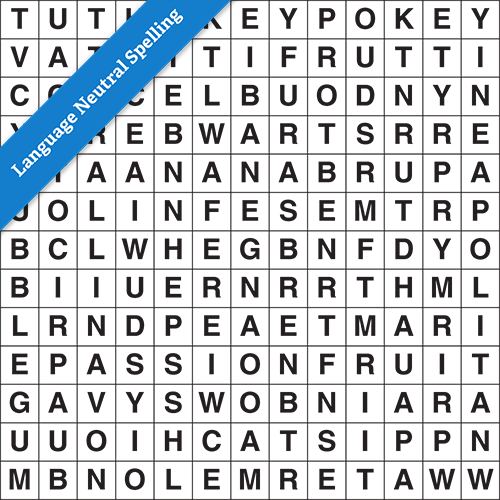 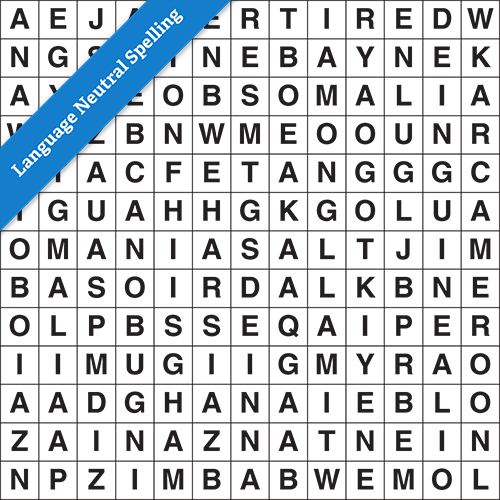 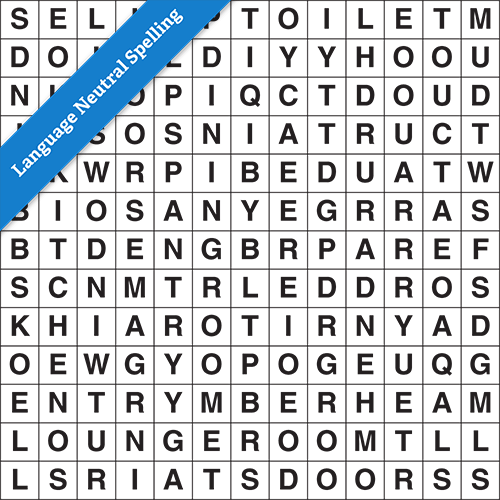 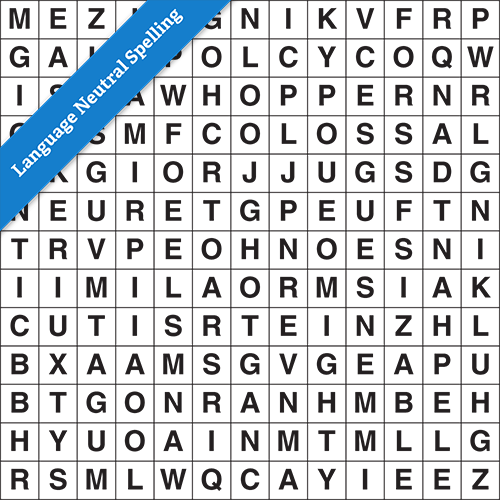 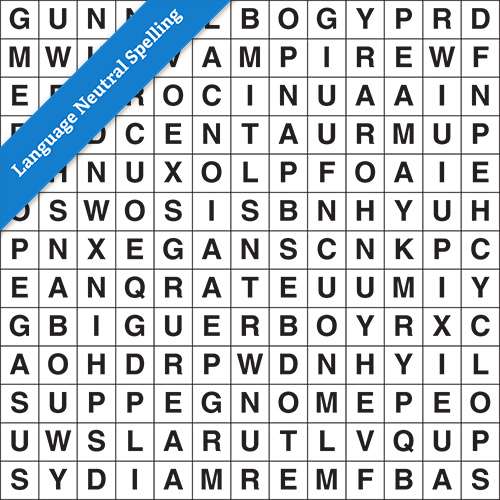 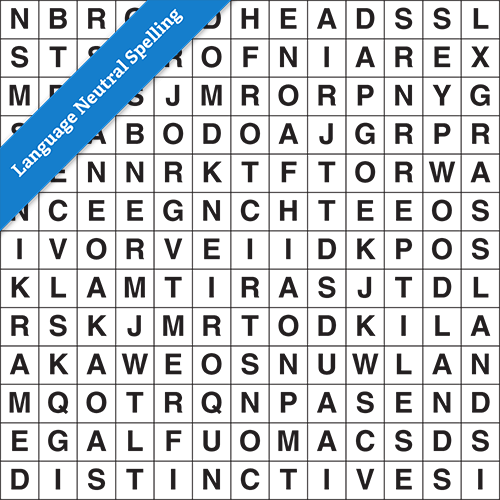 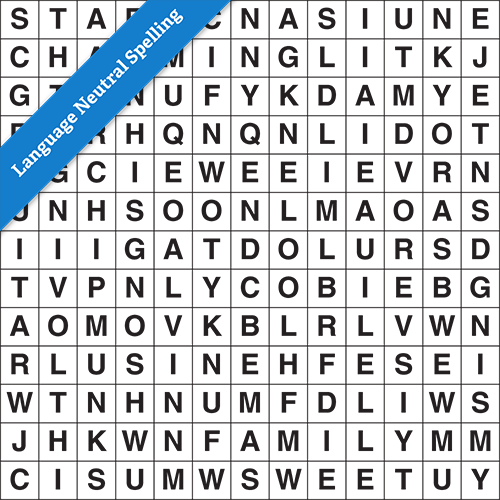 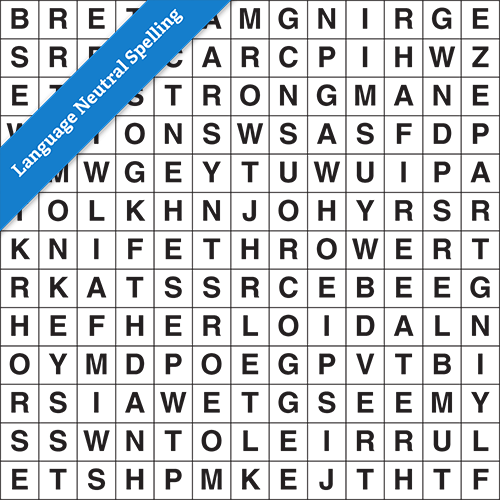 All words used in the Wordsearch Standard are spelled the same for British English and North American English spellers. 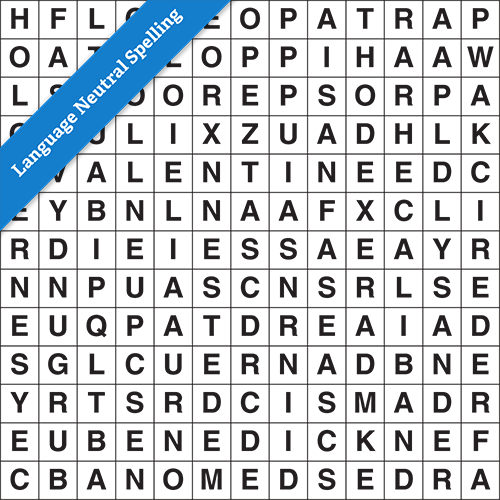 There’s no solution word or phrase for the Wordsearch Standard. 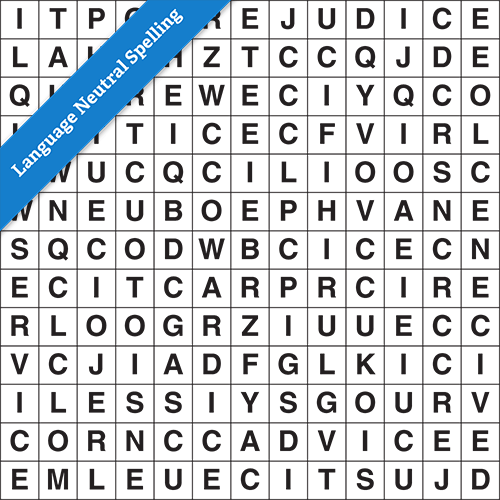 Use the Search button to find for a particular theme (the Wordsearch Standard title and/or tags and keywords).